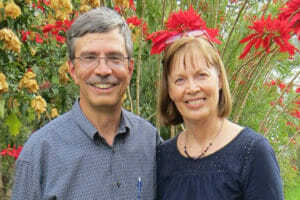 Missionaries Dr. Jim and Susan Kaiser are excited to be part of a partnership between Lutheran Bible Translators and the Ethiopian Evangelical Church. This church is Mekane Yesus (EECMY), which is the largest Lutheran church in Africa. They are helping make the Good News of God’s Word available to the people of Ethiopia in their heart languages. Susan helped establish a literacy program for the Loko people of Sierra Leone (1980-1983). From 1985 to 2006, the Kaisers helped to translate the New Testament for the Kono people of Sierra Leone (dedicated in 2008). From 2006 to 2012, Jim assisted with the translation of the Old Testament for the Chaldean people of Iraq while also completing advanced studies to further equip him as a translation consultant. Currently, Jim serves as a translation consultant with projects in five languages—Konso, Dirayta (also known as Dirasha), Zayse, Ts’amakko, and Ale (also known as Gawwada). All five language groups are found in the southwest part of Ethiopia near Lake Chamo in the Great Rift Valley. The EECMY is translating the Old Testament for the Konso people (the New Testament was completed in 2002) and is translating the New Testament into the other four languages. Jim and Susan have three grown sons, all born in Sierra Leone, and three grandchildren.